Ages ago I Pinned an image on Pinterest of an old picture frame which had been filled with Scrabble tiles. You could use it to make your own words and phrases. I love Scrabble and I’ve been meaning to get round to making one for ages and I finally did. 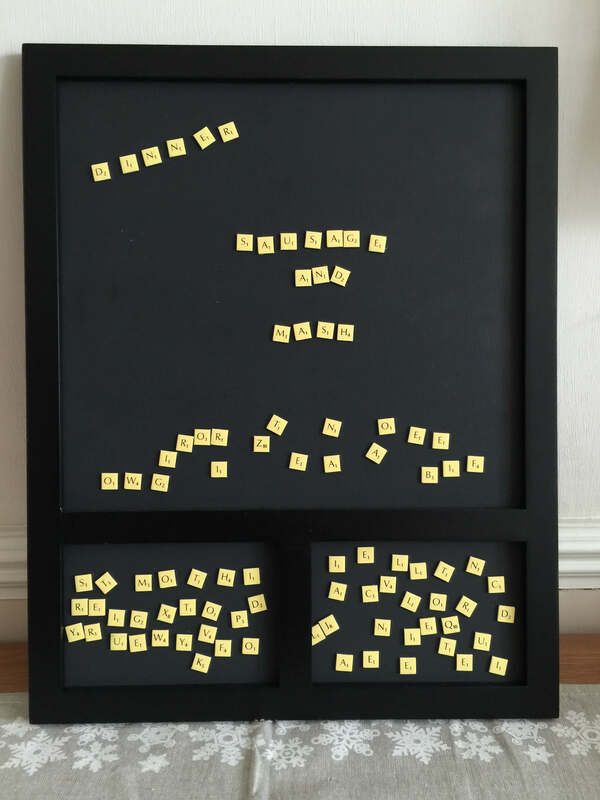 I used a Wilko chalkboard frame as a base for my Scrabble board. 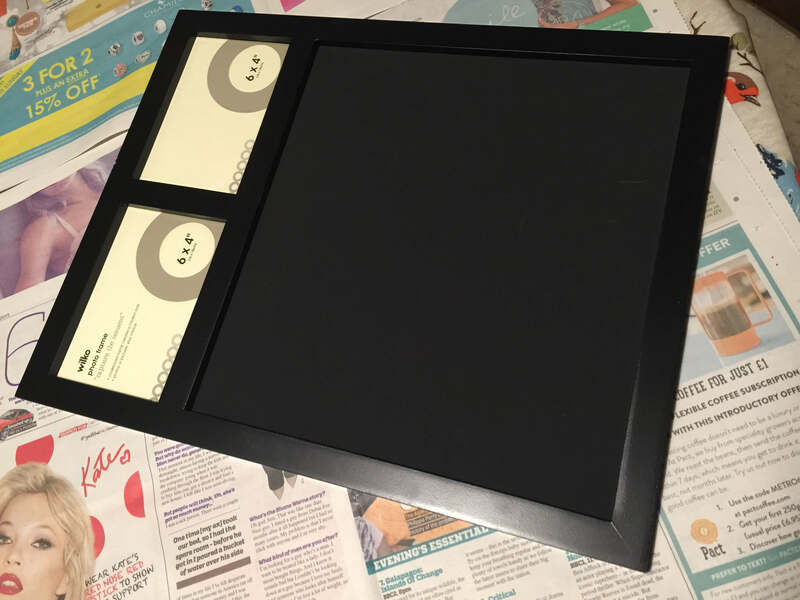 It cost £8 and is a large chalk board with two smaller frames suitable for two 6×4 photographs. 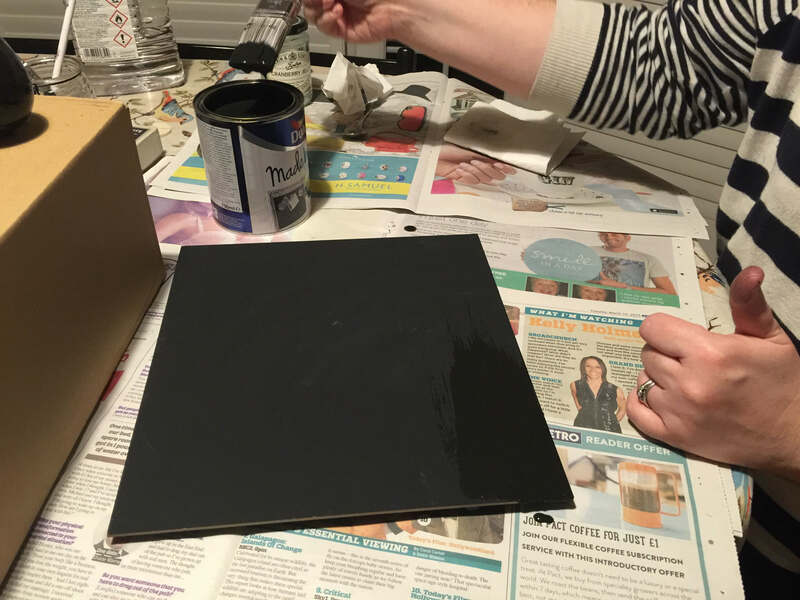 I bought some magnetic chalkboard paint, removed the chalkboard and gave it three coats of the magnetic paint. 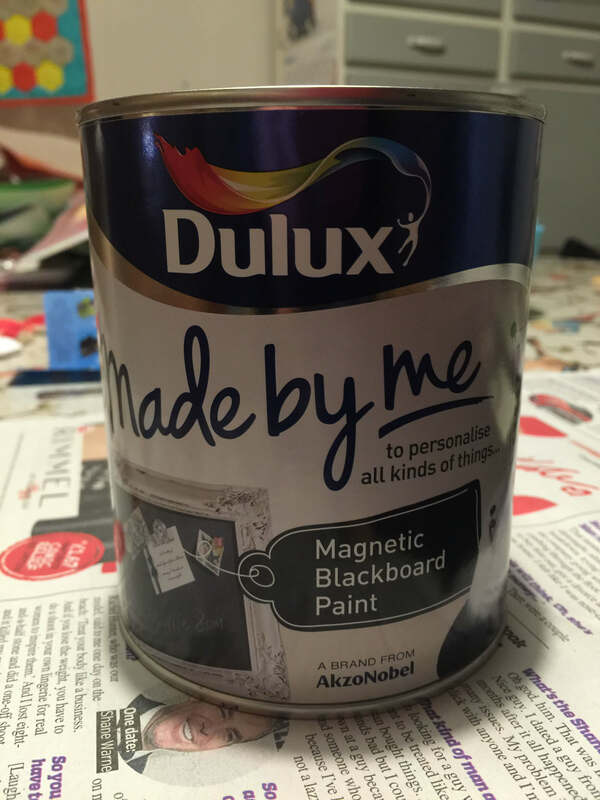 This stuff was pretty sticky and easily stained my hands so I made sure to use disposable gloves. I also removed the glass from the top of the frame and painted the two smaller pieces of chipboard, I gave them three coats. When it was all dry I put it back together and placed my magnetic Scrabble tiles (from a vintage Magnetic Pocket Scrabble by Spears) on it. You could use larger Scrabble tiles if you wanted but I didn’t want to glue magnets to the back of each Scrabble tile. The Pocket version works perfectly and my children have been having fun leaving messages for me. The two smaller section are perfect for holding any spare tiles, leaving plenty of spaces to write things to remember or what’s for dinner! This is a lovely idea! I can see my daughter enjoying leaving messages for me, too. What a lovely idea. 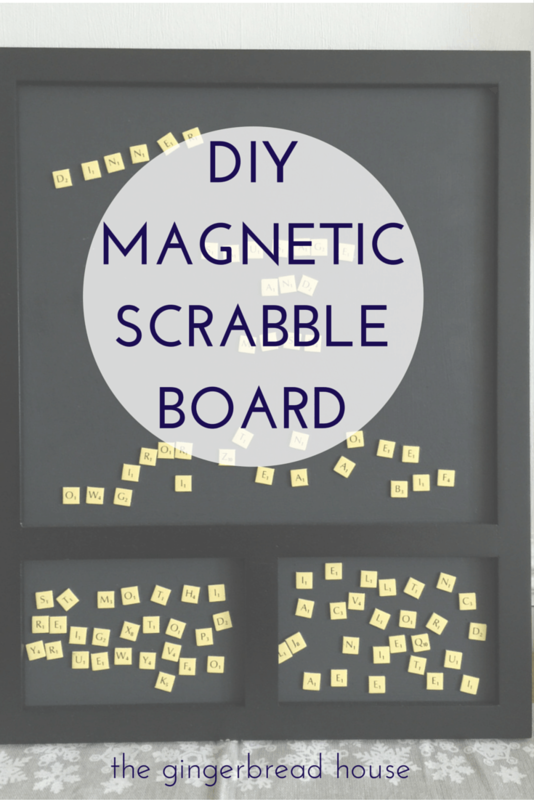 I’d not heard of magnetic scrabble tiles.